List of available awards and sponsors for the 2018 CQ WW VHF Contests. The CQ World-Wide VHF contest offers unique, handsome 8" x 10" wood plaques to the highest scoring stations. Plaques are offered on a sponsored basis, with the name and call of the donor, club, or business entity engraved on the plaque. Plaques are grouped into two categories: USA and World (non-USA). Only one plaque per contest entry will be awarded. If an entry is the high score for more than one plaque category (example: top EU and World), the higher category is awarded (World) and no plaque is awarded for the lower category. Other special categories will be considered for sponsorship. Contact the Contest Director. 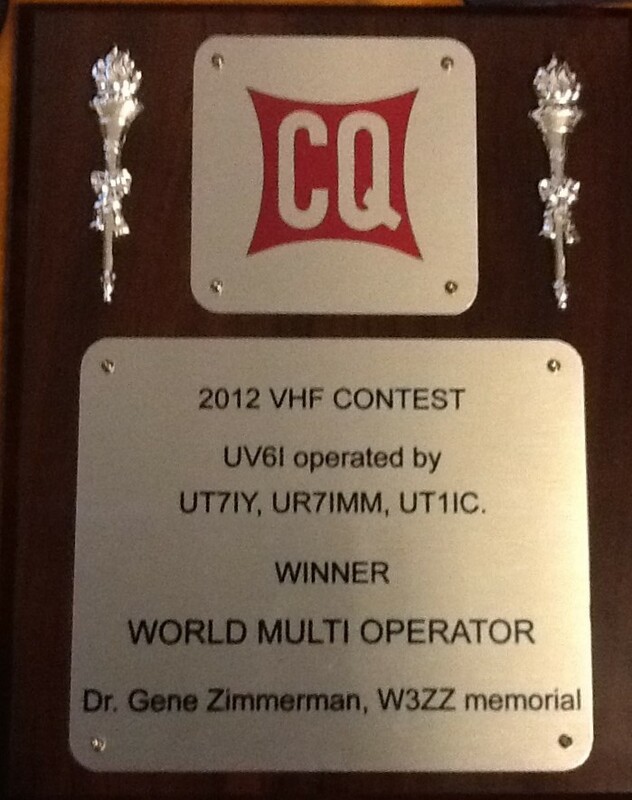 Donors who wish to sponsor a plaque may send a check for $65.00 USD payable to CQ VHF Contest Program. Mail to: Steve Bolia, N8BJQ, PO Box 355, New Carlisle OH 45344, USA. Include your name and call and the club contact name and call if this is a club sponsorship. Specify the preferred category to sponsor (see categories above) and indicate if you are willing to sponsor a different category if the one you listed is not available. The cost of sponsorship covers the plaque, artwork, engraving, and mailing. Contact N8BJQ for payment via PayPal. Thank you to all sponsors for their support of the CQ WW VHF Contest.